Marc and his panel offer analysis of President Barack Obama’s sixth state of the Union address. 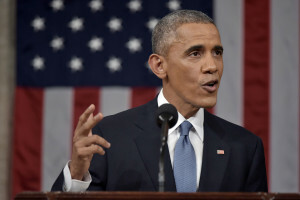 Did the President’s comments last night truly reflect the State of the Union, as the American people see it? With: Dr. Thomas F. Schaller, Professor and Chair of the Department of Political Science at University of Maryland, Baltimore County; Lenny McAllister, Republican strategist, former congressional candidate, and host of NightTalk: Get To The Point on the Pittsburgh cable news channel and Get Right with Lenny McAllister on NewsRadio 1020 KDKA in Pittsburgh; and ER Shipp, Pulitzer Prize-winning journalist, Journalist-in-Residence and Associate Professor of Journalism at Morgan State University.